﻿ Interview with Giles Ridge: Thunderbirds Are Go... Again! 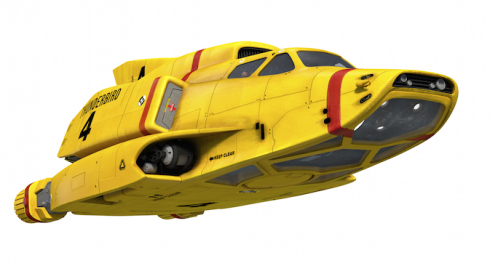 You are at:Home»Production»Interview with Giles Ridge: Thunderbirds Are Go… Again! Interview with Giles Ridge: Thunderbirds Are Go… Again! One of the most iconic kids’ series from the 60s is currently being re-made by ITV Studios, featuring CG-drawn characters in a miniature (but still huge) craft-built version of their world. Ahead of its World Premiere TV Screening at MIPJunior, the executive producer of Thunderbirds are Go, Giles Ridge takes us through the process of re-booting the brand for a 21st century audience. MIPBlog: Given that the original Thunderbirds is still regarded with such affection, there must have been some trepidation about this project? Giles Ridge: Absolutely. To be honest, it’s a bit like handling the family silver, and we, like many people, are fans of the original series, so that adds its own kind of pressure. But we are also extremely proud to have this programme brand and the whole Supermarionation family of series such as Joe 90, Captain Scarlet and Supercar in the ITV portfolio. When we were planning the project, we expected that there would be a lot of residual affection in countries like the UK, Australia and New Zealand, because it has such a strong heritage in English-speaking countries, but what we didn’t expect is how much it resonates in Japan, and also around Europe, especially in France and the Nordic countries. > Have you changed much in terms of the look and feel of the show? When we started planning how we were going to approach it, it was clear that Gerry Anderson had created a very balanced show, its DNA is just so right. By that I mean you have a group of young brothers who live on a secret island, who risk their lives to help people, and who drive and fly these incredibly cool craft. There’s no violence, no guns or even any conflict. Plus they are a tight-knit family unit, and the stories are all about bravery and heroism rather than super powers, values that are perhaps even more important and relevant to kids today than they were back then. So we have stayed very true to the spirit of the series, but this being 2014, the pacing of the original needed adjusting. The original show featured 44′ episodes which we have cut to 22′, and that presents challenges in terms of storytelling, but the pace of the action has also picked up considerably, so in fact telling the stories in half the time wasn’t really a problem. > What other elements did you keep from the original series? David Graham has reprised his role as (butler) Parker, and sounds exactly as he did 40 years ago. The music is also very much a modern take on the wonderful work done by Barry Grey. He created these epic, brassy, filmic soundtracks, and of course the theme tune is really quite military, a reflection of Gerry Anderson’s time in the R.A.F. (the British Royal Air Force). Our version has a slightly more syncopated rhythm, but it’s still that amazing, dramatic piece of music. > What can you tell us about the production process? We knew we needed a partner for the project, but we were also aware that it had to be a company with the same passion and vision as us, because we knew that what we didn’t want was a typical super-clean CGI look. We found our ideal production partner in the form of Pukeko Pictures which is part of Weta Films, the Peter Jackson-founded studio who worked on Avatar, King Kong and The Lord of the Rings. They have created a mix of CG characters and a traditional miniature ‘real’ world which includes all the craft, and I’m delighted to say that when we’ve shown it to people, it has raised a few eyebrows. It’s a long process, and we are currently at week 65 of 140 weeks of production, which means the show will air on ITV at the beginning of the second quarter of 2015. Don’t miss the World Premiere TV Screening of Thunderbirds are Go, Saturday 11 October at 18.00, in MIPJunior’s new Palm Beach location. Go go go!